The clock is ticking, and soon reindeer hooves will be clicking. Are you ready? Chicklet and I have done our best to help out with gift ideas, from her categorized collection that covers just about everyone to my way to snazz up a loved one's gadgets to her five wines to make any occasion special. If you're starting to stress about shopping, click through our recent archives. Today is my turn for Fave Fives, and my genre is Movies and TV. Here are 5 easy clicks for great ideas at great prices, all through Amazon. So click and check items off your list. 1. Six Feet Under: Each episode is a work of art, and the finale is in-freaking-credible. May sound expensive at $213, but with all 5 seasons, there are more than 60 hours of intense viewing pleasure (used from $140). 5. 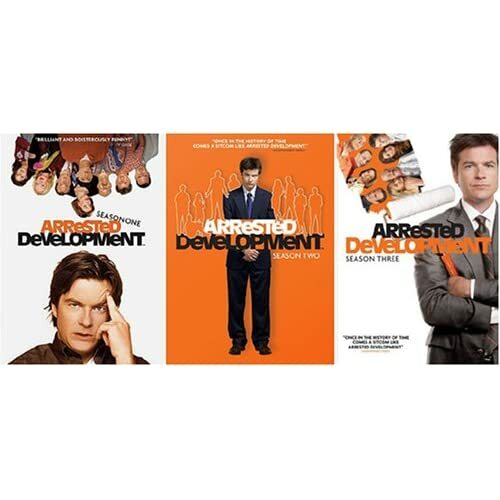 Arrested Development: I said it before here. And there's so much more to laugh at in these 3 seasons. ($48 new). Four of these are already in my library, and I've dropped hints about the fifth. Thumbs up. ahhh, the Princess Bride! LOVE that movie! Have quoted that thing since I was too young to understand half of it. I think I'll be watching it again, soon! Let's hope they get the hint. Thanks for some great suggestions for holiday presents. I am always looking for THE perfect gift. I miss arrested development and six feet under! Princess Bride is in my top five too. Parker is having a free movie in the park showing of that.. I plan on attending!